The talk is intended to give an overview about the technology used for the type C connector and USB 3.1. I will cover USB role switching, selection of alternate modes and USB Power Delivery. An overview over the driver support is given. APIs are introduced and explained. 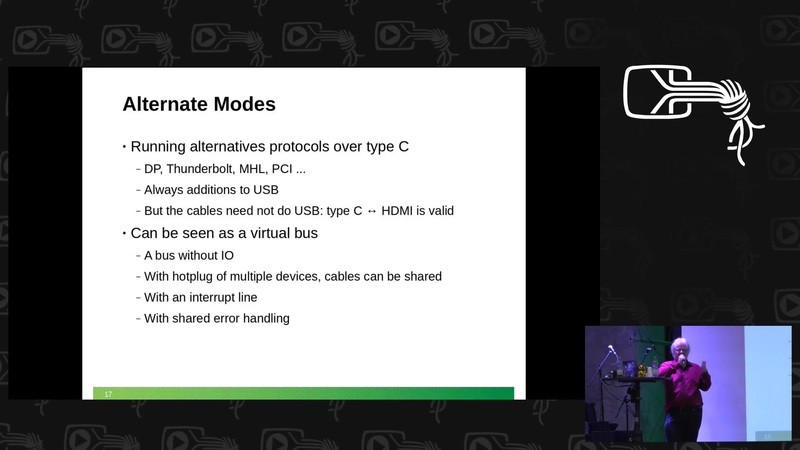 The conceptual difficulties of USB Power Delivery are shown. The missing infrastructure in the kernel and user space is identified. The frame work of a solution is discussed.